Hang it on your wall or save to your computer for a quick reference! I break down the WHOLE frequency range from the low end 20Hz all the way to the top end 20KHZ. I break down the most common instruments and their problematic frequencies as well as their desired frequencies. 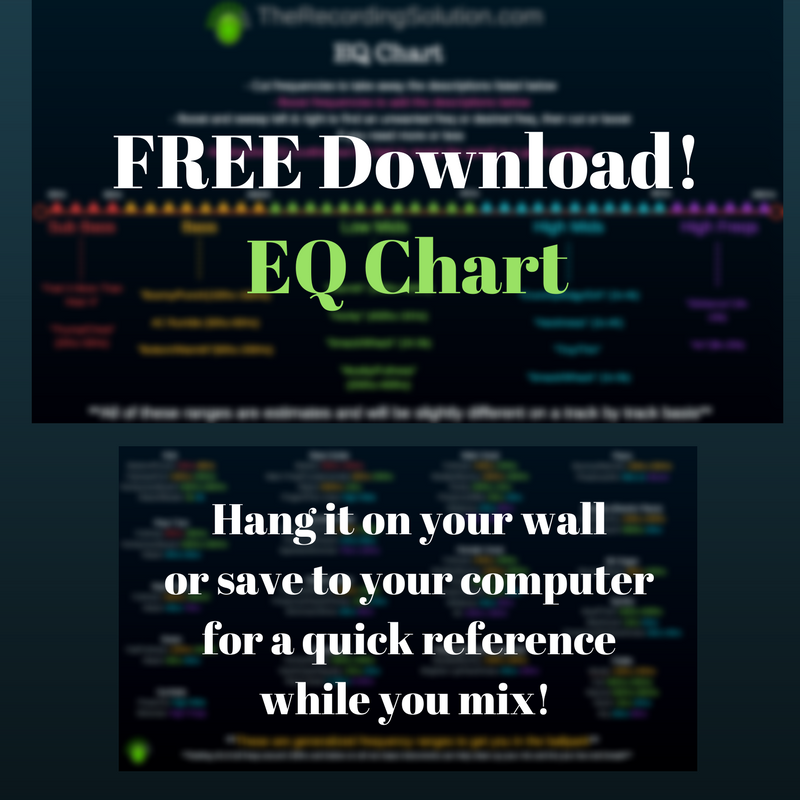 This chart is designed to start you off in the right area so you can succeed in making the correct EQ decisions. You will also receive more PROVEN EQ techniques that can transform your songs almost over night. It’s FREE! Grab it today!